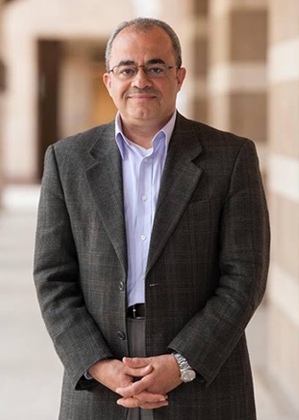 Emad Shahin is a public policy scholar at the Woodrow Wilson Center and editor in chief of the Oxford Encyclopedia of Islam and Politics. He is on sabbatical from American University in Cairo. 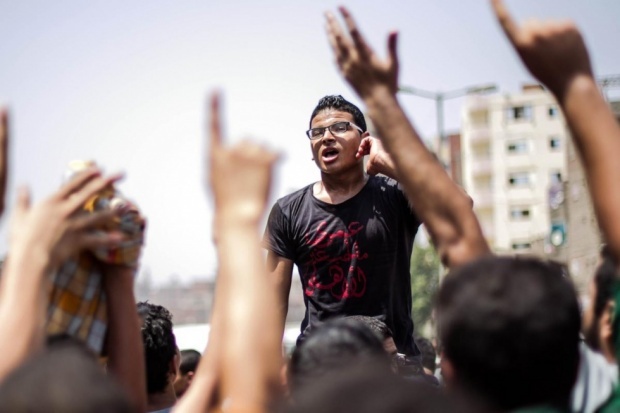 Egypt is spiraling toward instability and radicalization. Since last summer’s coup, the military-backed regime has used brute force to try to restore peace and manage its form of “democratic transition.” But its repressive strategy to physically eliminate political opponents, restore stability and end society’s acute polarization is backfiring. More than 1,400 demonstrators have been killed since July, according to Amnesty International’s conservative estimate, while thousands of protesters have been arrested. And the violence isn’t abating. During their one-year rule, deposed president Mohamed Morsi and his Muslim Brotherhood allies committed serious errors. They were, however, legitimately elected, and they should have been dislodged only through the means that brought them to power: the ballot box. But the military-backed government opted to remove its strongest opponents through demonization, massive arrests and sham trials. It designated the Brotherhood a terrorist organization and severely restricted protests — withthreats of jail time and hefty fines for violators. Youth activists such asAhmed Maher and Ahmed Doma have been imprisoned. Dissent is brutally repressed. I was surprised to find myself among the academics and journalists targeted by the regime. In early 2011, I returned to Egypt after years of teaching in the United States. 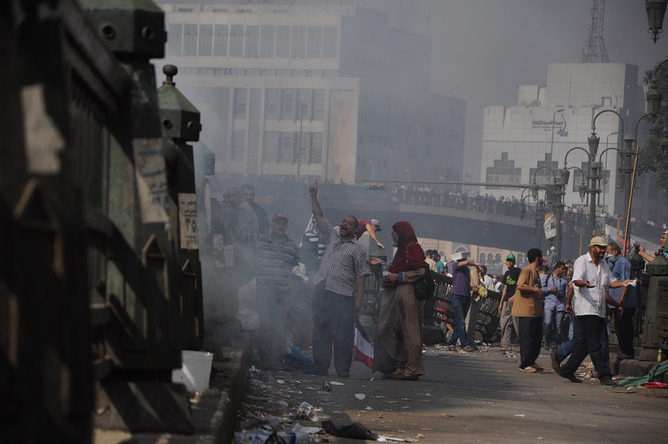 Like many expatriates, I longed for a new Egypt, devoid of corruption and repression. Keen to maintain my academic independence, I never joined any political group, but I bonded with the youthful generation that broke through the barrier of fear and championed democracy. As our hopes for a free and democratic Egypt faded amid the return of authoritarianism, I voiced my opposition to the military takeover and gross human rights violations. My criticism drew the wrath of the security state, which accused me of espionage, subversion and other preposterous charges. I recently left Egypt, knowing that I would never receive a fair trial given the inhumane conditions to which political prisoners are being subjected, the absence of the rule of law and the futility of due legal process under a highly politicized judiciary. In Egypt today, only the pro-regime narrative is allowed. Those who opposed the new constitution — which was drafted by a non-inclusive committee selected by coup leaders — were arrested and deemed traitors. The referendum passed with an alleged 98 percent of votes — a Saddam Hussein-like total. The document enshrines enormous privileges for the army and immunizes the defense minister from dismissal by the president; it also makes his term twice as long as the president’s. The recent detention and trial of 20 journalists illustrates the deterioration of media freedom. Yet the regime’s crackdown has failed to restore stability. Massive demonstrations still occur nearly every day. Unfortunately, the regime’s tactics have produced more social polarization and divisiveness, turning Egyptian society Orwellian. Recently a man reported his wife to police for belonging to the Brotherhood, presenting as evidence a picture of her making a Rabaa salute — a symbol of the infamous massacre at a sit-in last August. Similarly, a mother told police her son belonged to the April 6 youth movement. More such incidents are likely if the political atmosphere remains charged. The state-sponsored narrative portrays Gen. Abdel Fatah al-Sissi as the national hero who saved Egypt from “the U.S.-backed” Muslim Brotherhood. Nativist chauvinism and anti-Americanism are on the rise. Mustafa Bakry, a well-known pro-Sissi journalist, has threatened to “massacre Americans in the streets” if Sissi is harmed. 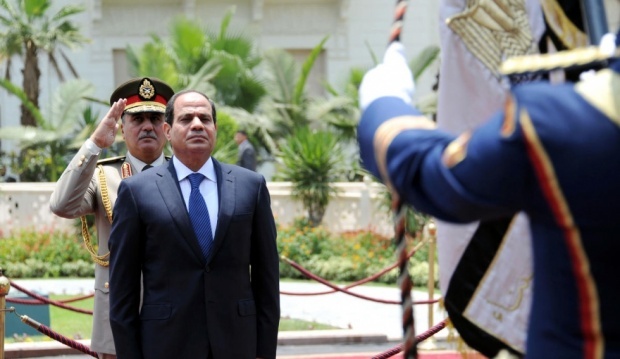 If Sissi is elected president this spring, he probably will try to consolidate more power. But as Egypt’s economy deteriorates, popular protests are likely to expand, especially among the young, and indiscriminate violence from radical elements may increase. To avert further instability and violence, the coup leaders must stop using repression and bloodshed to further their political aims. The only sustainable way forward is to open up political space for all opposition groups and restore civilian control over the democratic process. Genuine efforts must be made toward national reconciliation. Such steps would include releasing political prisoners, ending the demonization and incitement of hatred against political opponents, stopping the brutal suppression of protesters and engaging in serious dialogue for political solutions. The United States has been Egypt’s patron for decades — and its role is crucial. Pro-democracy Egyptians recall President Obama’s 2009 speech in Cairo decrying authoritarian rule and promising support for democracy. U.S. officials’ statements that Egypt is currently on a democratic path stand in sharp contrast. Under U.S. law, to maintain aid to Egypt, Secretary of State John F. Kerry must soon certify to Congress that the pro-coup government is moving toward a democratic transition. Events in Egypt since last summer make clear that democracy and the rule of law are in serious retreat. Kerry should inform Egypt’s generals that the United States cannot fund a regime that kills peaceful protesters, tortures political detainees, arrests journalists, stifles dissent and reverts to a repressive military rule. 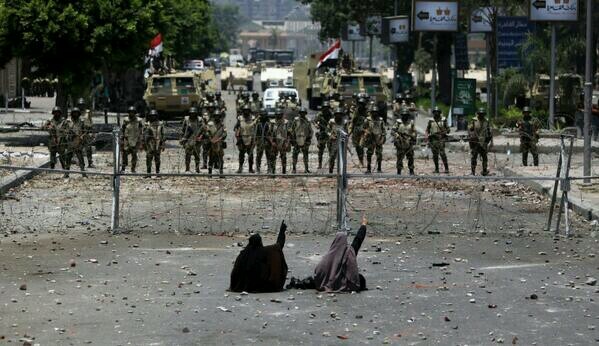 More bloodshed and repression will not lead Egypt to stability and are likely to provoke counter-violence. The key to stability is upholding essential democratic values and restoring civilian control over the political process.